The 2013 NFL season is officially underway, and week one of America’s most popular sport is now in the books. Over one million people attended an NFL game in week one, and tens of millions more watched on television. The sport has never been more popular, and with the concussion lawsuit being resolved, the sport has never been in a better financial position. But the stain of a tumultuous offseason remains; as over thirty active players were arrested from the end of the Baltimore Ravens’ Super Bowl win until the start of this season. Players from 19 different teams were either booked on criminal charges or taken into custody on outstanding bench or arrest warrants. The charges ranged in severity from simple possession of drugs all the way up to murder. 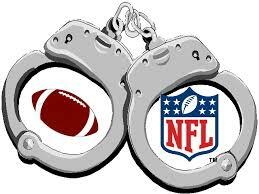 Despite the league’s growth in popularity and prosperity, player arrests are an issue that the commissioner’s office will continue to battle in the coming years. At any given time during the season there are approximately 1,900 NFL players under contract, including active players, practice squad players, and those on injured reserve. This number is much greater during training camp, but is smaller during the offseason. The 31 offseason arrests breaks down to about 1.5 percent of the players being booked in a 7-month span. That’s about one out of every 65 players, which is much too high for a billion dollar organization that is highly dependent on maintaining a strong public image. The first arrest occurred just two weeks after the Super Bowl, when a player was arrested for carrying a handgun in an airport. Within one week of that incident four more players were arrested on charges including DUI, drug possession, and disorderly conduct. From March to May of this year 20 more players were arrested. The most common charges were drug and alcohol related, but there were also multiple violent offense arrests including assault, battery, and resisting a police officer. This includes an April disorderly conduct arrest of a Baltimore player who subsequently retired to deal with his legal issues in lieu of being released by the team. There was obviously no offseason arrest that compared to the Hernandez murder case, but this incident will linger in the news for months and will place a magnifying glass on any other NFL arrest. The league’s commissioner has made it a priority to clean up these issues. Player conduct codes were instituted to provide a process to punish bad conduct. Just a decade ago fining or suspending a player for off field behavior would have been unheard of, but now it’s commonplace, with suspensions of up to a year already levied. The league also requires all new players to attend a rookie symposium on how to avoid trouble. The idea behind the symposium is to ingrain the league’s message into younger players before they begin their careers, but its effectiveness is questionable to this point. The off field issues usually take a hiatus during the season, as players are too busy to get into much trouble. But we will still monitor this ongoing situation and possibly post a future article if warranted. 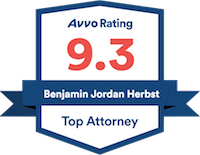 Benjamin Herbst is a Maryland criminal defense lawyer who represents defendants charged with all offenses. Contact Benjamin anytime for a free consultation at 410-207-2598.